It's 11 o'clock on a Thursday night and I have nothing to do. 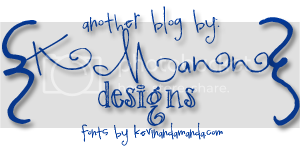 So I change the color scheme of my blog. What do you think? I find the white background less abrasive than the green. Opinions? From one younger sibling to another, well done Charlie. Well done. This week I've been overwhelmed with love for my little church here in Natal. Nothing special has happened this week to make me feel this way, it's just been one of those weeks where I've had time to stop and appreciate how wonderful it is. Every single one of my readers knows that the reason I came back to Natal was not because of the beach (although my pictures may indicate otherwise.) It was not because of the weather (DEFINITELY not.) It was not because Natal was the only place that would accept me (at least I hope not.) And it was not because I was in love with a Brasilian boy (although I did get asked if "Living and Loving in Natal, Brazil" was the title of my blog because I was dating someone. Um...let's clear that up right now...NO.) They all know that I came back to Natal because of the church. I tell each of them that the church here is very special, like none I've ever seen. I even sacrificed my pride enough to tell the young people (in Portuguese, thus the pride-sacrificing) at our end-of-year party in December, that they were a part of a church so special that it was unlike anything I had ever been a part of, and to take advantage of it. Or maybe it's because every day of the week, there is something going on at the building. On Mondays and Wednesdays there is a literacy class for neighbors in their 90s. On Tuesdays there is a cooking class for women from the community to come and share recipes. On Monday and Tuesday nights there are English grammar classes. On Wednesdays there is a midweek Bible study. Every day there are discipleship Bible studies between church members and the missionaries. Several nights a week there are small group home studies. On Saturdays there is a Bible study for young people. One Saturday each month there is a women's Bible study. And Sundays, of course, there is Sunday school and the worship service. And I didn't even mention the English conversation classes I offer each day. Our church is not big. The roster boasts 50, but we have 40ish members present week to week, with an ever-growing number of visitors. Our offering is small, as half of the congregation is comprised of financially dependent college students who come to church independent of their families. But our reputation is big. Everyone in the neighborhood knows about the "big white church on the corner." The bus drivers know it too. My friends at my bakery know my friends and I are from the church, and my doormen all knew of it before I told them I worked there. My readers always have good things to say, even when they have a dislike for churches in general. "This church is different," they say. "I like this church." 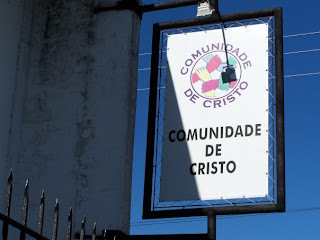 I'm in the middle of composing an introductory post about my beloved church here in Natal, just to get you a little more familiar with my Brasilian family, but I had something else I wanted to share with you and decided that it didn't need to wait. Well, then Brasil is the place for you (and Steve Martin.) Here you can buy 1 egg. Or 3. Or 8. Or 9. Or 13. Or a flat of 30. Or several flats of 30. I just got back from my friendly neighborhood bakery, where I bought 4 eggs. Why did I choose 4? Because they're 23 cents each, and I didn't want to spend more than R$1. Look at how much choice I have! I know that I will be able to use up my 4 eggs before they go bad, and that next time I'm needing more I can go and pick out however many I want. Brasil is just so practical sometimes. WHAT?? I surveyed all the English speakers I know, who come from all different parts of the country and therefore studied in all different kinds of English schools, and they were all taught the same thing. Did I miss something HUGE when I learned my numbers in English, or has the entire country of Brasil been deceived? Those of you who have lived in England, is this a British thing? I found myself consulting a dictionary for pronunciation guidelines afterwards, because I seriously questioned that maybe I was the one in the wrong. English teachers and PhDs, can you help me? Ok, maybe 36 is a bit of an exaggeration, but this was the big one. Any of you who have learned, or attempted to learn, a new language know that due to accents and intonations and which leg you shift your weight to during the pronunciation of a word all can affect, sometimes dramatically, the difference between what you intend to say and what actually comes out. We've all done it, we've all made these mistakes. Just some are worse than others. When I first arrived in Natal, I once confused the word for pregnant with the word for maid and told a friend that my shirt made me look like a maid. I only wish my most recent blunder had been so simple. I'll start with the least embarrassing one, because it happened in front of friends. Tonight I had a few people over to have a going away party for one of my readers. We were sitting around and I picked up a little book of Portuguese expressions that I won as a gag gift at Christmas from one of the church members. I opened up the book and just started saying some of the expressions out loud. Harmless enough. However, I knew I had made a mistake when I read one and, immediately, Andressa gasped, Sergio hit me, someone yelped from the other room, and Catherine burst out laughing. Someone said "Cris! DON'T EVER SAY THAT. EVER." Apparently, the expression I chose to repeat out of this little book not only implemented a curse word but was also extremely vulgar. We all nervously laughed for a bit, and then I just sat there feeling awkward. Needless to say, I put a pen in Andressa's hand and had her go through the book and cross out every expression I shouldn't bother learning or repeating. Lesson learned. The second is the more embarrassing of the two, because it happened with a complete stranger. It's a bit gross, but hilarious because of the innocence with which I made my mistake. Lucky for me, Andressa was around to witness this one as well. I had gone into my cell phone service provider's store at the mall to add more minutes to my plan. The word I needed to use is a word I've never completely mastered, and is similar to others that are also related to cell phone usage. I thought I had finally gotten it down, and I even spoke extra slowly to make sure I said it right. I told the guy that I needed to "recargar" (what I thought meant something along the lines of recharge) and he smiled. I thought he liked my accent. He asked how much, I said twenty-five. When I turned around Andressa was smiling, avoiding eye contact with me. "What did I say, Andressa?" I asked. "Nothing, nothing," she said, looking at the ceiling, her smile getting bigger and bigger. "Andressa. What did I say? Tell me." "Cris, you just told him that you need to poop. Again. Twenty five times." Apparently it's important to place the accent on the correct syllable. I must say things got much brighter, happier, and melodious around here today when I welcomed the addition of light fixtures that actually work, a hammock on my balcony, and a bamboo wind chime within the walls of apartamento 805. To top it all off, the hammock was purchased (new, mind you) for 8 Reais. No, that's not a typo. That really is an 8, which means I paid roughly 5 bucks for a pretty green and blue hammock. That's like the worthiest investment EVER, knowing that from now on my blog posts will most likely be written from out there. I'm sure I will also be spending weekend afternoons there, and maybe, if I'm brave enough, even try to sleep out there? Who am I kidding, there's no way I would willingly spend a night out there without knowing what lizards and flying cockroaches are lurking about. I'll take my bed behind closed windows, thanks. Turns out Bad News Bear, though a bearer of bad news, is no liar. I wish he was, given that all he ever tells me is bad news, but it seems as though when the calendar turned to "February," the temperatures in Natal increased exponentially. I joke with all of my friends that, because I am American, I only take one shower per day. You see here in Brasil, at least in the northeast, everyone showers at least twice a day, if not more. One in the morning, one in the evening, and maybe one or two in between. They are genuinely disgusted when I tell them that I am only accustomed to showering once a day, and that unless I feel like I really need it, I'll do my part in conserving water. The first few retreats we went on, they all looked at me like I had grown horn (or fungus, I guess, given the subject at hand) when they all went to take showers before dinner and I stayed behind. Each time I had to explain, jokingly, "No, I'm American, I just take one shower per day." Now, it has become such a common conversation, that when they ask, "Cris, vai tomar banho?" (Cris, are you going to take a shower?) all I have to do is respond "Nao, sou americana." (No, I'm American.) They always laugh, but they understand. No further explanation needed. So imagine my surprise, and my friends' surprise when I told them the news, when Friday I had already taken two showers by 2:30 pm. After my first, normal shower, I spent the morning going back and forth between my apartment and the church building because I was doing laundry. The second, shortly after 2 pm, was precisely because I had spent the morning walking back and forth between the church building. Since being in Natal, I had not yet experienced anything like the heat experienced on Friday. The sun was so hot that I was positive I was getting tanlines during my 2-minute walk. This morning I broke my first glass since living in my apartment. As irritated as I was, I see it as kind of an official inauguration of my humble abode. I did it in style, too, as I had just made myself a full glass of chocolate milk (the milk here is undrinkable without some kind of flavoring.) I had chocolate milk splattered all across the floor, up the walls, up and down the refrigerator, and all over myself. In true Cris fashion, however, I still stopped to eat my breakfast before cleaning up. I'm a woman of priorities. The time I have been waiting for since December 1st has officially arrived: the end of vacation season! Starting Monday I will go back to my normal work schedule, and I could not be more excited. Vacations are nice, but staying busy and productive is nicer. I have been thankful to have this time over the last couple of months to spend a lot of time with my friends and sleep in a bit, but I miss my days of actually eating breakfast at breakfast time and going to the church at 9 am and not getting home until 8 pm. Seriously, who does that? ME! Tiresome days and early bedtimes, here I come! Last night marked the beginning of the world-famous Brazilian celebration, Carnaval. If you haven't heard of Carnaval, I first ask you what rock have you been hiding under? Ha, just kidding. If you haven't heard of Carnaval, think "Mardi Gras in New Orleans," multiply the intensity by 9 million and then spread it throughout the entire country, and there you have Brazilian Carnaval. It's the biggest holiday in Brazil ,(today as I paid my rent, the girl wished me a 'Happy Carnaval' as I was leaving,) though unofficial, and everything closes for a period of 5 days so everyone can celebrate adequately. Please pray for our safety and the safety of my readers (many of whom went to Carnaval celebrations around Brazil...) as things always get a bit crazy during this time. I pray that our retreat will be enriching for those of us who are there, and that those who aren't with us will also have the opportunity to grow closer to the Lord, wherever they might be.